HomeTechnologyNewsIs Elon Musk Really Planning To Send A Car To Space? Is Elon Musk Really Planning To Send A Car To Space? When it comes to space exploration, Elon Musk’s SpaceX has really taken the charge of late as its founder eyes for not only manned exploration of Mars but also its colonization and possibly even a lunar base. What began as an enthusiastic start to our journey in the cosmos in the 60s, abruptly came to a halt when we stopped going to the moon and never though about further expansion into the solar system. Recently however, in the last decade or so, private companies like Elon Musk’s SpaceX and Jeff Bezos’ Blue Origins, are beginning to take the lead to expand humanity’s presence beyond our own planet to ensure our survival as well as take the first steps to becoming a spacefaring civilization. The latest news comes from SpaceX as it prepares for the launch of its Falcon Heavy rocket after months of delay. This will be just another step in their plans to finally send people to the red planet. 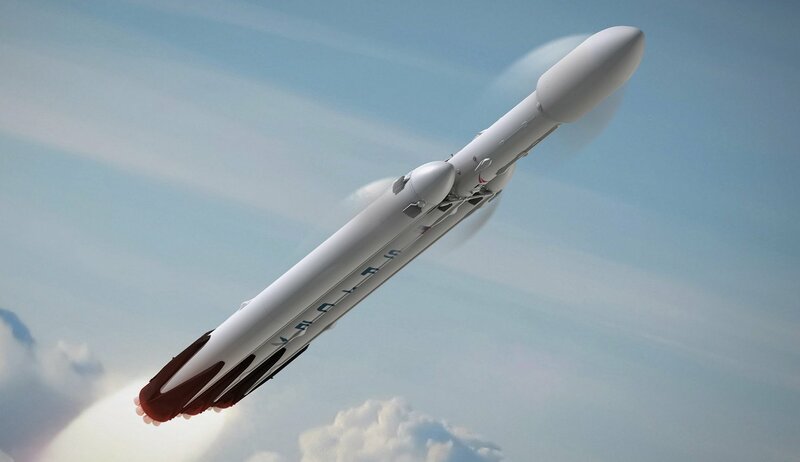 Those who follow this space (pun intended) regularly, they would know that the coming launch of the Falcon Heavy rockets is going to be an important milestone for the company and for our capabilities to send stuff into space in general. The rocket stands 70 meters tall and is poised to become the most powerful rocket ever built. Not only that it will be able to carry a payload of 63,800 kg into the low Earth orbit, thanks to the two additional Falcon 9 boosters. The company is not too optimistic about the success of this launch, as it is the first launch of a totally new rocket, but as history has shown, SpaceX has always learnt from its mistakes and pushed its technological boundaries making it ever more cutting edge. The interesting bit about this launch is that Elon Musk plans to send his red Tesla roadster as a payload, which many people initially though to be a prank of some sort. But he has also posted photos of the roadster on his Instagram which seems to confirm the news. Also, the car will be launched on a Mars trajectory around the Sun. The reason for this maybe two fold. First, since this is the first launch, they don’t want to risk blowing up expensive payload equipments and second, Elon loves the idea of a car drifting endlessly through space which might one day be discovered by an alien race!!! Just a few months ago, Musk had taken to stage to reveal his plans to establish a permanent human presence on the red planet. He discussed how the journey of SpaceX started, where they are today and where they plant to do next. Right now, the company has the Falcon 9 and Falcon Heavy rockets and the Dragon spacecraft and the company has learned a great deal in trying to perfect these rockets and spaceship. 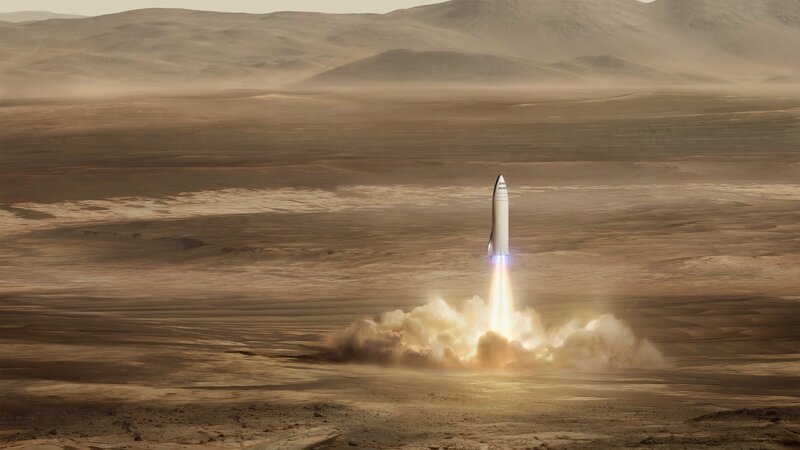 In the future however, all these will be replaced by something called a BFR which is a next generation launch vehicle and spacecraft that the company is developing right now. Essentially, they want to pour all the money that is divided among various projects into a single one. Doing so will help them focus completely on the BFR which, Musk states, is all they need as it can be used for various purposes, like landing on Mars, refueling spacecrafts, sending payload into low-Earth orbit and if Musk has his way, even transporting people here on Earth from one country to another! The most important goal however is that of colonization of Mars and the company plans to send a bunch of these starting in 2022 to kickstart that process. Regardless to say, the future is going to be really exciting.